There-to-Repair is fully licensed, insured and bonded with worker's compensation for our employees. Our technicians are fully trained and certified for all of the services we perform. 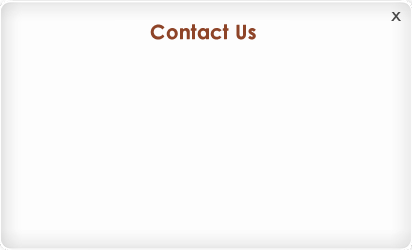 We can be an individualized or complete service solution for your situation. We consider no project to be too large or too small to manage. Contact us today for more information on how we can help resolve any issues you're experiencing. Call 1-877-886-6259 for more information. Water damage or flood damage, sudden or gradual, is one of the most common restoration issues that homeowners experience. Most water damage results from ground flooding or a leak in the roof or a water/sewer pipe. There-to-Repair deploys the equipment, tools, and experienced professionals necessary to manage the minimal to the most challenging water damage situations. Acting quickly and intelligently will make it less likely that serious structural, contents, or mold damage will occur. Our professionally trained remediators can act quickly to rapidly remove water and moisture from the property using commercial-grade high-tech equipment through a complex drying and dehumidification process. We follow industry standards and beyond to safely dry, deodorize, and disinfect any areas of a property flooded or damaged by water. Using these techniques and equipment, even moisture that has reached cavities in the floor and walls can be reached. We can assist you through the claims process when it comes to water, fire or other damages covered by homeowner's or renter's insurance. If you would like our assistance in filing or guiding you through the insurance claim process, please contact us at 1-877-886-6259 or report your claim through our online form by clicking here. Excessive amounts of mold or certain types of mold can present health concerns for a building's occupants. Mold can originate from the presence of moisture in an area where mold spores are located. The moisture can originate from a variety of sources, including a slow leak or water damage. Sources of excessive moisture such as the result from water damage should be professionally remediated immediately to prevent mold growth or to prevent further mold from growing. Our specialists can evaluate your property to determine if there is a mold problem and, if so, provide an estimate for professional remediation, including limiting human and environmental exposure and the cleaning of your air and contents effected by the mold problem. Following remediation of any contaminated areas, we can completely restore your property to its original state and provide methods for deterring any future mold problems in other areas of your property. In addition, we guarantee that our work areas will be free of mold for 10-years. Our services can be provided in a confidential and discrete manner to prevent worry by your family, friends, tenants or employees. Fire and smoke can be devastating for a property. Structural integrity is compromised by the fire while smoke penetrates the structure's contents with odors. We offer many fire-related recovery services, some which can be completed in a matter of days. We have achieved benchmarks in in our industry by enforcing a level of quality and standards that surpasses other organizations. All OSHA standards are enforced and we are fully trained and certified to manage the contaminants for which we take responsibility. Managing a situation involving a crime, tragedy or trauma can be difficult. We are able to provide specialized physical removal and clean-up services for a variety of situations. Our services can be provided in a confidential and discrete manner. All of our technicians are fully trained, certified and capable of managing a variety of situations. We are here to assist you at any time. We can perform decontamination, cleaning and other specialized preservation techniques to your property and contents. For questions regarding this service, please contact us. We provide this detailed information service in order to help you expedite the insurance claims process, accurately assess and measure the extent of your loss and assist with any burden of proof requirements held by your insurance carrier. We will provide any assistance required for you by your insurance company in regards to this inventory process. Some of these odors can be controlled and limited, but often these odors permeate the building material or contents inside of a property and cause permanent odors. Airing out the area is only a temporary solution to this problem. Odors are being inhaled (as they are detected by your olfactory system), which means whatever is contained in that odor is most likely entering the lungs. With situations involving biological or chemical contaminants, this may pose a health risk to the occupants. This is especially true when dealing with mold and water damage. Deodorizing is often one of the steps involved with the remediation of a more serious problem with a property. For more information regarding odor control and removal, please contact us at 1-877-886-6259. Restoration is the re-construction or rebuilding of an area of a property following the removal and treatment of damaged or contaminated building materials during remediation. These areas may have been contaminated by mold, water damage, fire and smoke damage, or a variety of other harmful substances. The building materials that were removed and treated may have left areas of the property with structural gaps that are unappealing and require rebuilding/reconstruction. The restoration effort would put the areas in question back to their original or a like-new state where it appears like there was never a problem to begin with. These areas and the surrounding areas can also be remodeled to the owner's specifications to have a new look all together. Complete restoration estimates can be produced for you at no charge or obligation. To request an estimate for restoration of your property, please contact us at 1-877-886-6259. We take customer service very seriously. Our customers are the reason we are doing business. Copyright © 2011 There-to-Repair. All Rights Reserved.